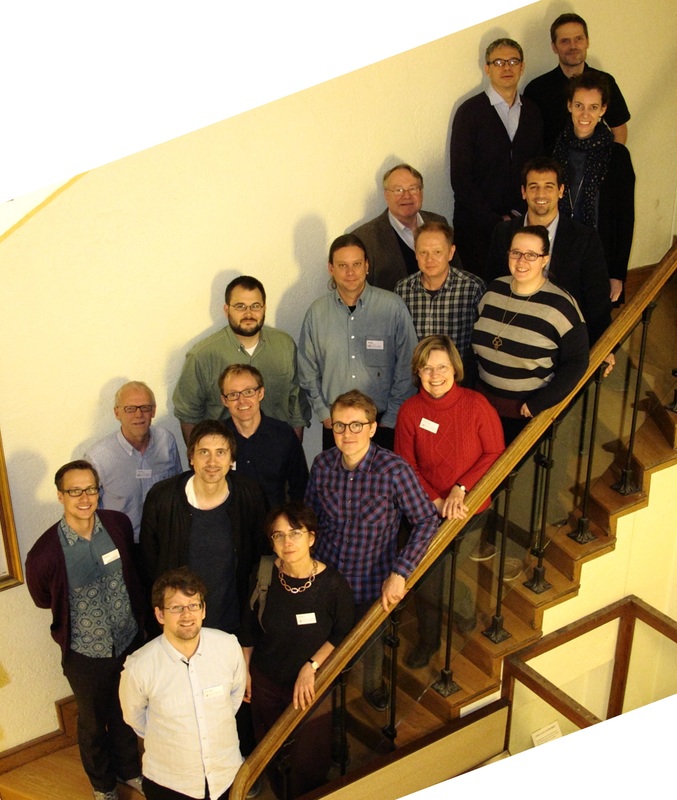 From 20-21 November 2014, a group of historians, science studies scholars, and representatives from the Norwegian weather service met for a workshop titled, “Climate in meteorology, meteorology in climate studies.” Organised by the History of Meteorology Group at the University of Bergen, the workshop was hosted in the university’s Geophysical Institute, the home of the Bergen School of Meteorology that was responsible for the development of so many foundational concepts of modern meteorology and climatology. Aided by travel grants from the International Commission for the History of Meteorology, the workshop was an opportunity for early career researchers to present papers alongside senior researchers from the field and discuss at length aspects of climate studies’ history, development, and relationship with meteorology. Attendees at the ‘Climate in meteorology, meteorology in climate studies’ workshop stood on the stairs in the University of Bergen’s Geophysical Institute, where many illustrious figures from the history of meteorology have previously stood (Photograph courtesy of Dania Achermann). Posted on December 15, 2014 by ichmeteo. This entry was posted in Conference. Bookmark the permalink.